L'Oreal Paris Revitalift Cicacream Anti-Aging Face Moisturizer With Centella Asiatica For Anti-Wrinkle And Skin Barrier Repair, Fragrance Free, Paraben Free, 1.7 Fl. Oz. 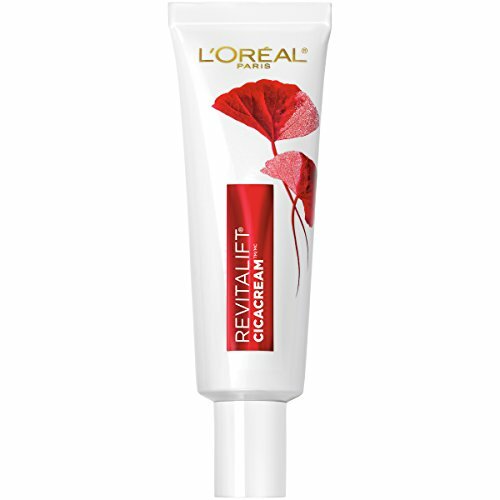 You have reached L'Oreal Paris SG_B074MBDRHW_US L'Oreal Paris Revitalift Cicacream Anti-Aging Face Moisturizer with Centella Asiatica for Anti-Wrinkle and Skin Barrier Repair, Fragrance Free, Paraben Free, 1.7 fl. oz. in Findsimilar! Our expertise is to show you Health and Beauty items that are similar to the one you've searched. Amongst them you can find Face Moisturizer with SPF 30 by L’Oreal Paris, Revitalift Bright Reveal Anti-Aging Day Cream with Glycolic Acid, Vitamin C and Pro-Retinol to Reduce Wrinkles and Brighten Skin, 1 fl. oz., L'Oréal Paris Skincare Revitalift Bright Reveal Dual Overnight Face Moisturizer with Glycolic Acid, Anti-Wrinkle and Brightening Night Treatment, 1 fl. oz., Palmers Cocoa Butter Skin Therapy Cleansing Oil, Face, Rosehip Fragrance, 6.5oz Pump, L'Oreal Paris Revitalift Triple Power Under Eye Treatment Anti-Aging Eye Cream with Hyaluronic Acid 0.5 oz, Hyaluronic Acid Serum by L’Oreal Paris Skincare, Revitalift Derm Intensives Pure Hyaluronic Acid Anti-Aging Face Serum for Visibly Plumped Skin and Reduced Wrinkles, Paraben Free, 1.0 oz., L'OrealParis Revitalift Bright Reveal Anti-Aging Peel Pads with Glycolic Acid Exfoliating Facial Pads to Reduce Wrinkles and Brighten Skin for All Skin Types 30 ct. White, Face Moisturizer by L’Oreal Paris, Revitalift Triple Power Intensive Day Cream with Hyaluronic Acid for Visibly Reduced Wrinkles and Firm Skin, Anti-Aging Moisturizer for All Skin Types, 1.7 oz., L'Oréal Paris Skincare Revitalift Triple Power Intensive Skin Revitalizer, Face Moisturizer + Serum with Vitamin C and Pro-Xylane for Fine Lines and Wrinkles, 1.6 fl. oz., L'Oreal Paris Skincare Revitalift Bright Reveal Facial Cleanser with Glycolic Acid, Anti-Aging Daily Face Cleanser to Exfoliate Dullness and Brighten Skin, 5 fl. oz., L'Oreal Paris Skincare Revitalift Anti-Wrinkle and Firming Eye Cream Treatment with Pro-Retinol Fragrance Free 0.5 oz., all for sale with the cheapest prices in the web.